Bulgaria is strictly against the inclusion of a geographical term in the Former Yugoslav Republic of Macedonia's potential new name, Bulgarian Prime Minister Boyko Borisov has declared. 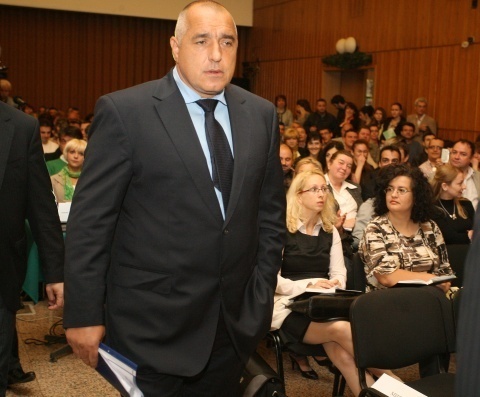 Borisov believes that names like "Northern Macedonia" would be completely unacceptable, since this geographical term would include Bulgarian regions, giving rise to territorial claims. The Bulgarian Prime Minister told the TV+ private channel that different versions of Macedonia's potential future name have been discussed with Bulgaria, including "Northern Macedonia." "I said that we would not accept it, since tomorrow they will state that Blagoevgrad is Macedonian," Borisov pointed out, referring to a Southwestern Bulgarian city. Macedonia is registered at international organizations as the Former Yugoslav Republic of Macedonia because of the name dispute, rather than Republic of Macedonia at Greece's insistence, which fears the name "Macedonia" might spur territorial claims for its northern regions. Greece and international intermediaries have suggested that the Former Yugoslav Republic of Macedonia should adopt a name such as "Republic of Northern Macedonia" or "Republic of Macedonia-Skopje", which have been rejected by the Macedonian authorities. Commenting on Serbia's new President, Tomislav Nikolic, Borisov said he respected Serbia's choice and is ready to cooperate with him, as well as with Boris Tadic, who is expected to become Prime Minister. He reiterated that Bulgaria supports all countries from the Western Balkans in their European integration bids. Since the early Middle Ages, all the way to the first half of the 20th century, Macedonia and its Slavic population were considered part of the Bulgarian nation not just by Bulgaria but also by its neighbors and the international community. This is why from its National Liberation in 1878 till 1944 Bulgaria waged five wars attempting to unite all of the Bulgarian-populated lands in the Balkans, including Macedonia – after the San Stefano Treaty of March 1878 providing one state for almost all Bulgarian-populated regions was revised three months later by the European Great Powers in the Treaty of Berlin leaving the regions of Thrace and Macedonia out of Bulgaria. After both World War I and World War II, however, Serbia/Yugoslavia kept control of 40% of the territory of the geographic and historical region of Macedonia, the so called Vardar Macedonia (which in 1991 became the Republic of Macedonia), Greece retained about 50% of the region – the so called Aegean Macedonia, while only 10% of the region – the so called Pirin Macedonia – remained in Bulgaria. The foundations of the contemporary Macedonian nation were invented in 1943-4 by Yugoslavia's communists at a special congress that also proclaimed the creation of a Macedonian language and a Macedonian alphabet designed to differentiate the dialects spoken in the region of Macedonia from the Bulgarian language and to underline the creation of a distinct Macedonian national identity. The rationale of communist Yugoslavia and of Serbia before that for the creation of a distinct Macedonian nation being to weaken Bulgaria. In the recent years, however, with the democratic transitions in the region, the "ethnic Macedonian" identity has been eroded, with dozens of thousands of citizens of the Republic of Macedonia receiving Bulgarian citizenship based on their Bulgarian origin. Unlike Greece, which gets enraged by Macedonia's moves toying with the cultural heritage from the Antiquity period and is tangled with Macedonia in the notorious name dispute, Bulgaria's governments traditionally react to propaganda fits by Skopje with disregard, while the general public in Bulgaria accepts them with ridicule. To the extent that Bulgaria has made any claims towards Macedonia, those have boiled down to the refusal to allow Skopje to hijack Bulgaria's historical heritage from the Middle Ages and the 19th century Revival Period. Bulgaria was the first sovereign nation to recognize the independence of the Republic of Macedonia in 1992.